The future of mobile app development is certainly bright and full of interesting prospects. Mobile apps have become vital parts of people’s lives and thus are set to be more innovative. With the explosion of smartphone sales, they are becoming more affordable and the number of persons on the web has exponentially increased. The growth in the volume resulted in making the mobile application industry very huge. By the end of this year, it is expected that there will be more than 10 billion devices on the internet. There are several things that a developer has to know about the future of mobile app development and be updated on the current trends. Most companies look forward to introducing solutions that could cater to consumer requirements. The companies are launching different mobile applications faster. Such mobile application development solutions originated with the intelligent idea of delivering maximum value to clients. From shopping to healthcare, mobile apps are increasingly getting more popular and an important part of people’s lives. Presently, mobile devices account for more than 22 percent of all retail eCommerce sales in the globe, which is expected to reach 27 percent by the year 2018. Nearly one-third of eCommerce sales originates from mobile devices and the majority are in application sales. 1. Internet of Things applications. Technology made people very lazy, but the best is still to come. The Internet of Things or IoT helps control things around through applications. Apple watches, Google glass, and others are just the starts. Nowadays, people are seeing some great models of IoT apps, like a fridge that read tweets, self-driving cars, and rings that control everything. In time, there would be more of these used in daily lives. 2. Cross-device and cross-platform development. Applications no longer are limited to one platform. Android, because of its pricing, would rule the business when it comes to sales. On the other hand, iOS would rule the high-end market. In time, apps would no longer be confined to certain platforms. With the HTML5 evolution, the future of mobile app would see hybrid mobile apps and works for all platforms. 3. Enterprise applications. Most of the today’s focus is on customer applications. Nonetheless, moving forward the trend would head towards enterprise applications. As enterprise are willing to shell out money, customers could get what they want. Additionally, enterprises want to be updated with the latest technology, and mobile apps help them do so. 4. Developer tools. 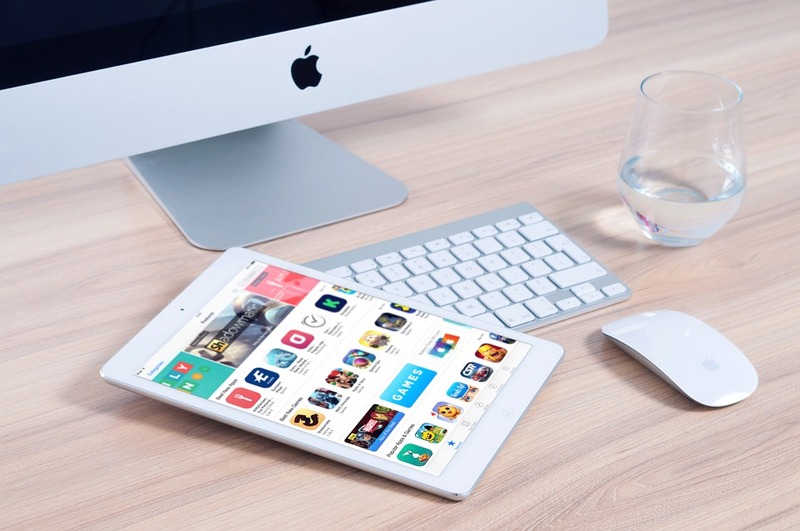 With the mobile app industry introducing thousands of apps each year, there’s a lot of pressure on launching apps in the shortest possible time without error. Also, businesses want to get in on shaping apps as soon as possible. The app programming interfaces and software developer kits make launching apps in the shortest time convenient. In time, there would be a rise in these apps and software kits that are more advanced. 5. Cloud-computing applications. There was a number of applications merging with cloud computing. As everyone now shifts their databases, ISPs also are encouraging cloud storage at very minimal price. Cloud storage helps the end users to sync and access database anywhere without risk of data corruption. The trend would continue and there will be a number of new cloud computing applications. The cloud approach helps developers in a way that they could build outstanding phone applications that could be used easily on various platforms with the same data and features. Because of the need, there is a great number of organizations that have started working on cloud-based application development platforms. 6. Services that are location-based. In all daily activities, ordering groceries or calling an electrician have started to become applications. There are more convenient ways of doing them. These kinds of applications check the user’s location and find the best nearby resources. In the future, there would be a rise in location-based applications as the demand will rise in customers and in the enterprise domain as well. 7. Mobile security applications. With smartphones becoming more important to people and the dependence on them increases for bank app access, as well as other private data, the next big thing would be mobile security. Even for organizations, wherein data privacy breaches could cost fortunes, mobile security apps would see a bigger demand in the years to come. Some mobile app developers have gained momentum already, while others continue to make big efforts. However, there is no doubt that they’re going to make remarkable marks in the mobile application development landscape in the future. To keep up with the trends, a developer should be prepared to create outstanding mobile experiences for users. Of course, one should be prepared for all the changes and innovations in the years to come. Without question, technology continues to evolve. That is why the future of mobile app development would see the adoption of new trends to cater to the evolving needs of users all over the world.